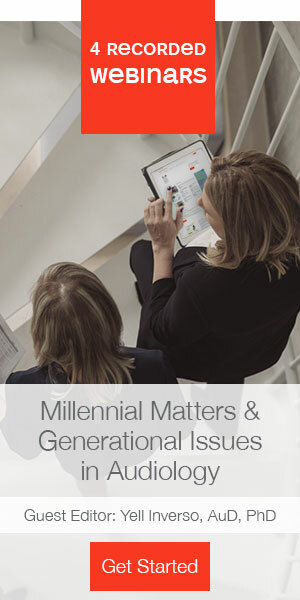 Global game is latest release from BRIDGE to Better Communication Program. 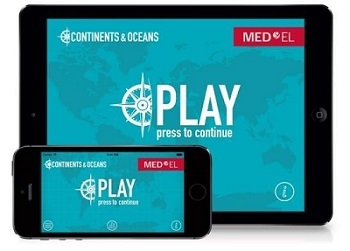 October 1, 2014 – Durham, NC - MED-EL USA has launched the game Continents & Oceans designed to test and improve listening skills for people with cochlear implants. The free app is the latest offering from MED-EL’s BRIDGE to Better Communication support program. Continents & Oceans features three levels that get progressively more challenging. Players listen to both male and female voices as they name the continents and oceans of the world and tap the screen to verify what was said. Different accents increase the difficulty level to challenge players, who are scored based on how fast they respond. Players can compete with others from around the world to get the best score for each level. Top scores are posted on a global leaderboard. BRIDGE to Better Communication, MED-EL’s comprehensive rehabilitation support program, offers more support materials than any other hearing implant company. Reportedly developed with leading educational and hearing specialists from around the world, the program consists of a wide variety of information and materials to meet the hearing rehabilitation needs of adults, teens, and children, as well as their parents, audiologists, speech therapists and teachers.